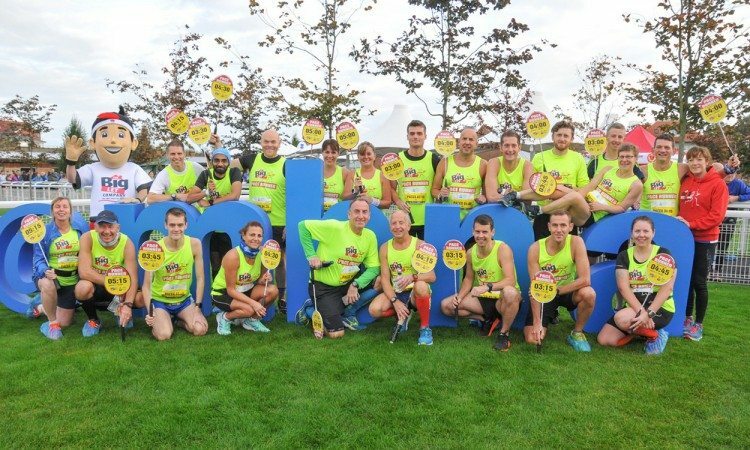 The MBNA Chester Marathon last month beat some stiff competition to secure first place in its category at the Running Awards to be crowned best UK marathon under 5000 runners. Now into its ninth year the Chester 26.2-miler has built up a solid reputation as being THE destination marathon. Based at the spectacular Chester Racecourse, the race unashamedly exploits all that the historic city has to offer. Runners head through the city centre passing many of its iconic landmarks before heading out into the stunning Cheshire countryside. The predominantly flat course even crosses the border to briefly sample the stunning views North Wales is renowned for (a truly international event! ), before finally returning via the picturesque Chester Groves. 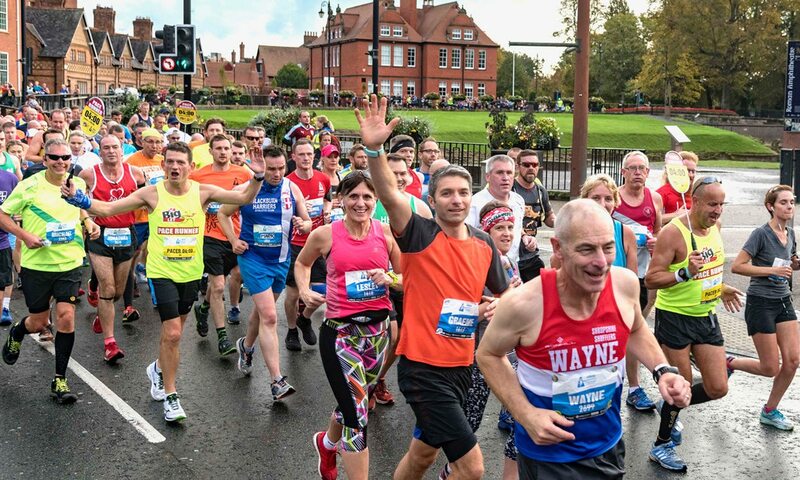 Since its inception the MBNA Chester Marathon has grown rapidly in popularity, being voted into the top 10 of UK marathons by runners every year since. It has a reputation for being well organised, beginner friendly and in a beautiful city. The organisers always go the extra mile to create a high-quality event that provides a memorable experience for the athletes. The 2018 race will host the England Athletics Age Group Championships for the second straight year. 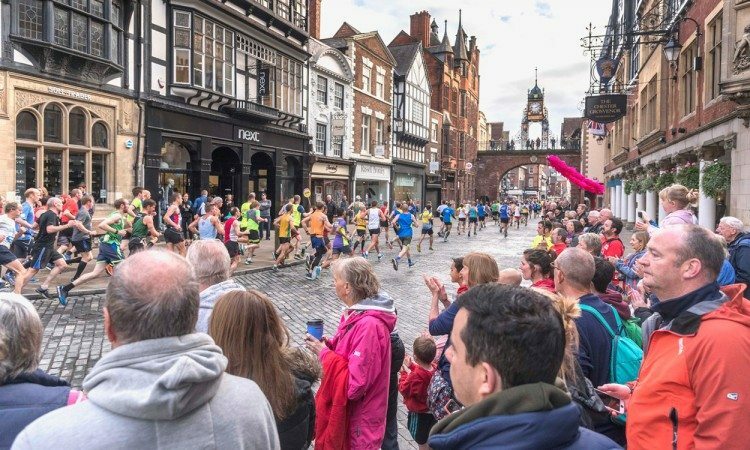 The Racecourse venue with its first-class facilities are perfect for creating a truly unique running experience and have the added bonus of being near to Chester’s famous shops and cafes – a big plus for the people supporting the runners! 2014 marked the addition of a Metric Marathon (26.2km or 16.3 miles) being offered for people who want to try a distance beyond the half-marathon but don’t want to go the full distance. This has proved to be increasingly popular and has sold out every year since its inception. A 1 mile Fun Run and a squad of Pace Runners dedicated to supporting the runners through their marathon are just two more highlights in a package that is second to none. To enter the marathon and metric marathon being held on Sunday 7 October, or for further information, visit www.chestermarathon.co.uk.